Strangely I only actually started trying out face masks since switching to natural products. I'm not sure why but it was never something I'd tried before! It's a totally different story now though and I love having a few different face masks as part of my skincare routine. One of my favourites is using Rhassoul Clay (a.k.a. Moroccan Lava Clay), which is found in the Atlas Mountains in Morocco. Rhassoul Clay is rich with minerals and is perfect for using as a face mask with it's cleansing, exfoliating and detoxifying properties. It's also anti-inflammatory, antimicrobial, analgesic and antiseptic. It has numerous beauty uses and is used in high-end spas across the world so you know it must be good! 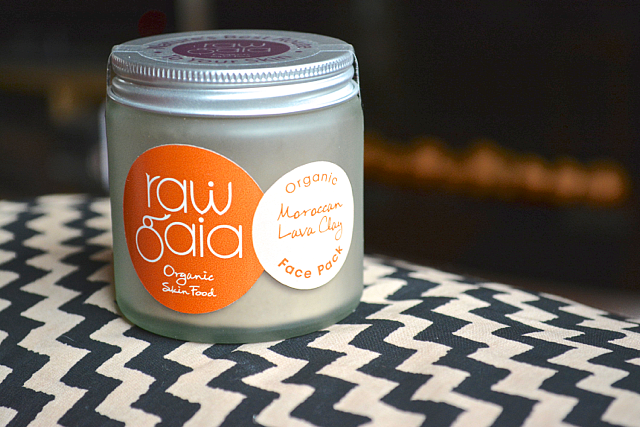 The clay is available from a variety of suppliers, but recently I've been using Raw Gaia Organic Moroccan Lava Clay Face Pack* (70g RRP £14.99). It comes in powder form in a glass jar and can be mixed with water, floral water or even other things like honey and oils if you're feeling more adventurous. I often use just water and find that about 1 teaspoon of the clay mixed with 1-1½ teaspoons of water makes the perfect amount to cover both face and neck. You want to mix up the water and clay in a little bowl/container until it's a creamy consistency and looks something like in the photo above (yep, it kind of looks like chocolate ice cream)! You can apply the mask with your fingers but I find it quicker and easier to just paint it on with a cheap makeup/foundation brush. Once the mask is on (and you're looking rather ridiculous!) you want to leave it on for 5-10 minutes. It's a good idea to keep a damp washcloth handy or some kind of facial mist to spritz while you wait so the clay doesn't dry on your skin - I find it works better that way. Then you just wipe it away with a damp washcloth and you will be amazed to see a difference in your skin straight away! I've been using this face mask once a week for a couple of months now and I can without a doubt say it has made a noticeable difference to the texture of my skin. Honestly even after the first time I used the mask, the results were immediate with my skin looking clearer and brighter. I've had uneven, kind of bumpy feeling skin on my face for as long as I can remember, but since using Rhassoul Clay masks it's significantly improved! If you're looking for a little something extra to add to your skincare routine I highly recommend trying out Rhassoul Clay for yourself - your skin will thank you for it and you'll wonder why you never tried it sooner! 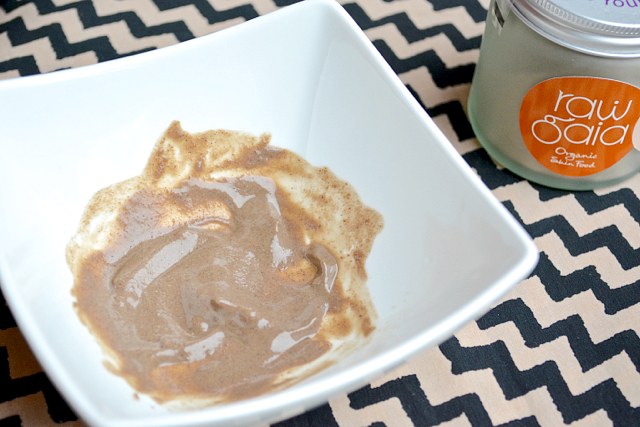 Have you used Rhassoul Clay before? If you have any DIY recipes to share I'd love to hear them! It sounds and looks so yummy! Currently I'm loving my May Lindstrom the problem solver and it works its magic in clearing out my skin! Good tip with the spritz, I tried a sample size of this and quite honestly hated...probably because I let it dry which made my face feel SO uncomfortable. I think I still have some left, so keen to try it your way! 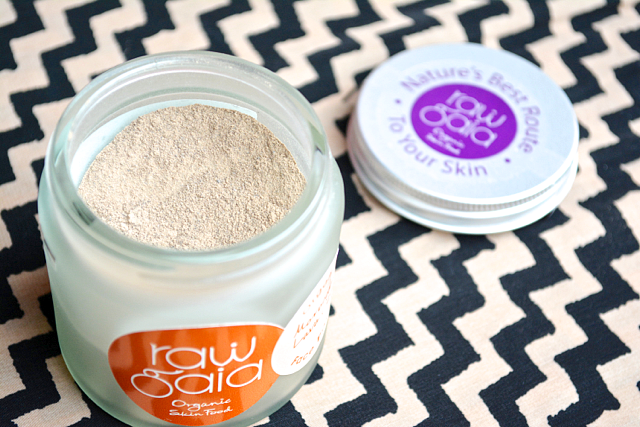 I really must get around to trying Raw Gaia products and this looks like the perfect way to start! Thank you for the wonderful post. Definately gonna try this. Thanks for the share, looking forward for more post regarding this in future. Worth reading.